Attorney Elroy Sequeira joined Cohen & Winters in 2019. His practice areas include criminal defense and family law. Attorney Sequeira was born in the Middle East and moved to the United States as a child, growing up in Minnesota. Upon completing high school, Attorney Sequeira attended The George Washington University, graduating with honors with a degree in political science. 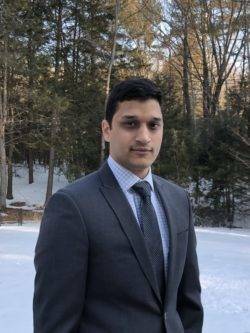 After college, Attorney Sequeira attended law school at William Mitchell College of Law in Minnesota, participating in moot court, the law review, and graduating with honors. Attorney Sequeira practiced as a Public Defender in Minneapolis, Minnesota, in the busiest county in the state, handling thousands of misdemeanors, gross misdemeanors, and felonies, including drug cases, criminal sexual conduct, and homicides. Attorney Sequeira has a wealth of litigation experience, which he devotes to his clients’ cases.